The first three shots are from a walk on the last day of August. We walked in the morning but it was already hot and humit. Walking in the shade made it fairly pleasant. 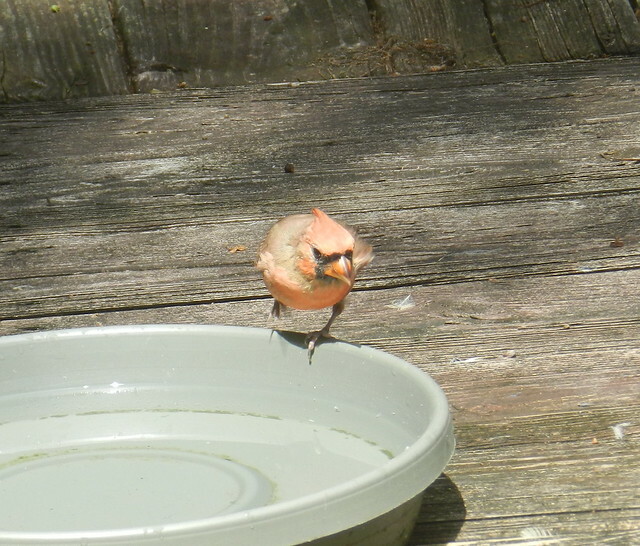 Back home the birds, like the catbird above and the cardinal below, were beating the heat on my deck baths. 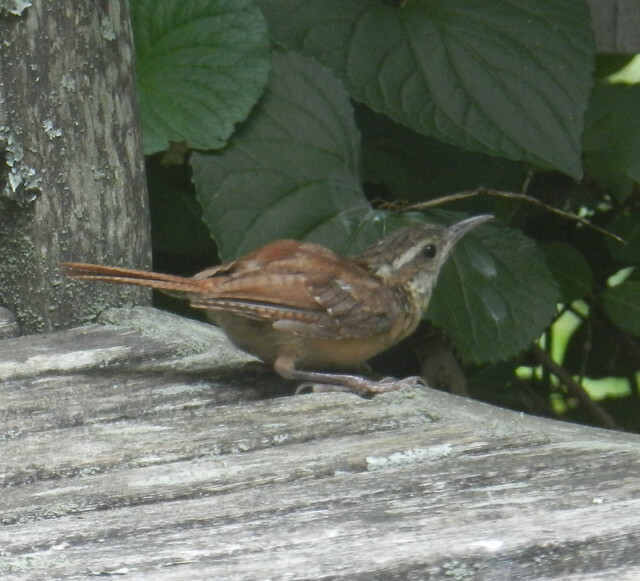 When I first spotted the carolina wren, I thought she might be injured. I was relieved when she flew up on the chair. Beautiful sights from your walk! with no shade around here, I've neglected walking outside. you certainly had a pretty area in which to walk. I would have throught the same about the bird. it did look injured, rather an odd sitting position for a bird. Wonderful walk and gorgeous nature photography ~love the birds and do hope the bird was okay ~ Great post for OWT! What a strange position for the bird to strike. 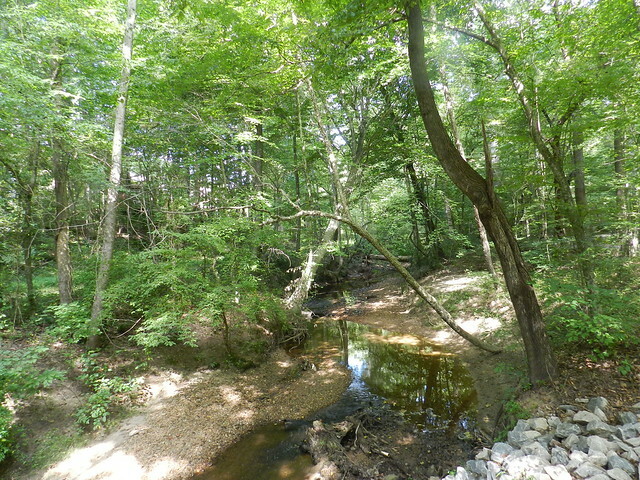 I like seeing your walk in the woods, but it was so humid in the middle of the day today, I stayed indoors. I gardened in the early morning when it was more pleasant. 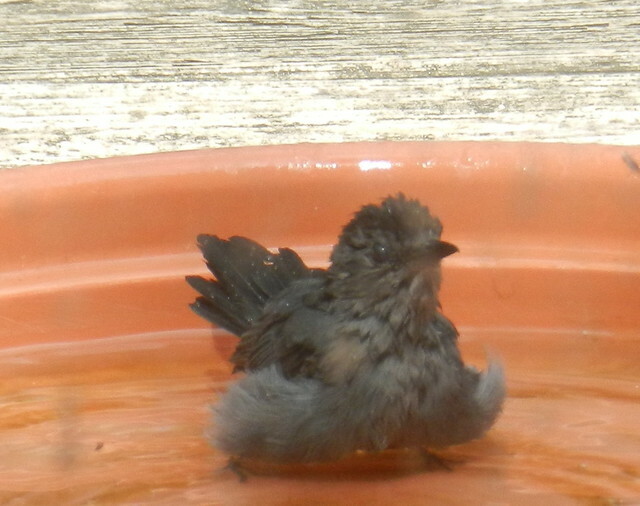 Your birds are so happy with their baths. 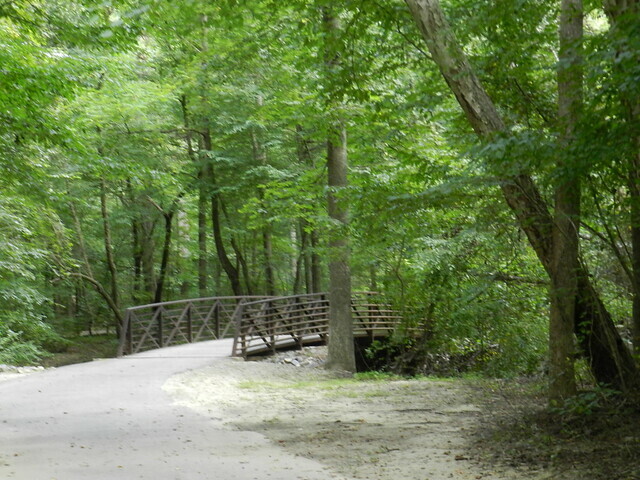 A lovely walk indeed, Carver!! Love those happy birds!! Hope you have a great new week! so pretty. maybe the wren was overheated. glad she was ok. 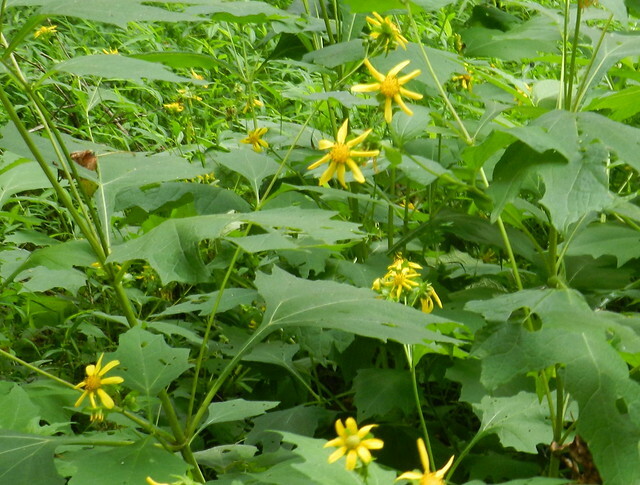 I am loving your lush greenery in the summer, especially since the surrounding here is soo brown. All your shots are pleasant surprises! 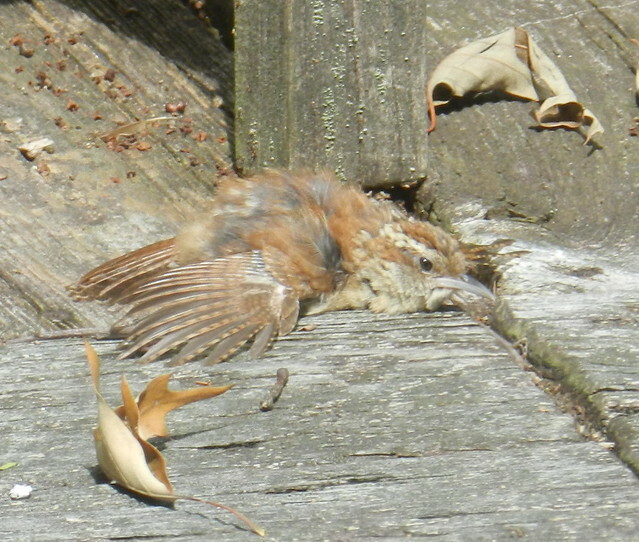 The carolina wren sure must ave gave you a bit of scare, funny pse to be beaten, haha. Glad to see the bird wasn't injured - I'd have been concerned as well! Your sweet wren was just feeling the heat --- sweet baby. Birds in your neighborhood are so lucky to have your watering hole and food right there for them -- especially in such hot weather.